Whats not to love about the Ihvera dress by Ichi. 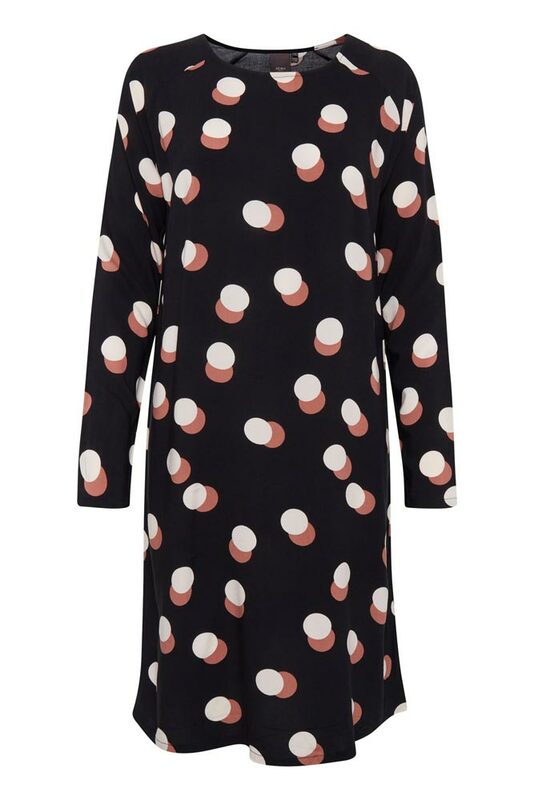 An easy to wear shift style, the circle spot print is striking and classy, this is one versatile dress that can be worn loose or belted in. So handy to have and so easy to wear. Team with tights and boots for now or wear with sandals for hotter days, ideal for any time of year.